Imagine: you’re sitting under a tent cold drink in hand and a plate of barbecued food on your lap. 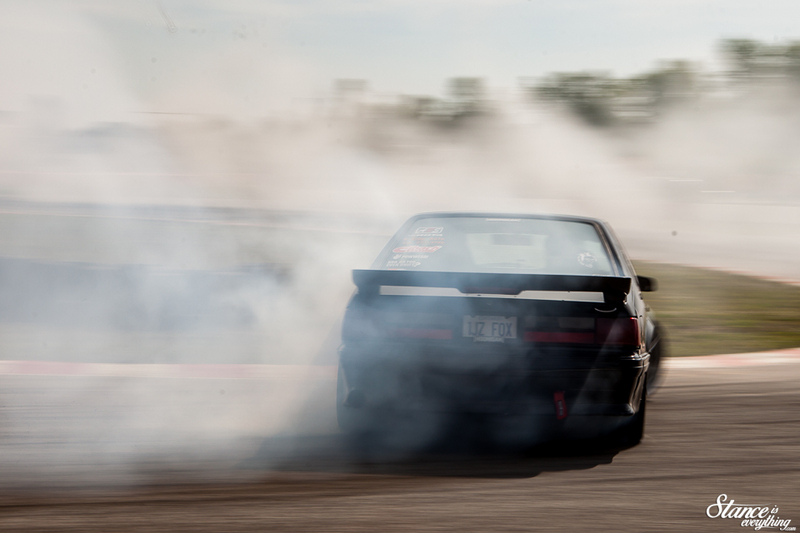 Aside from the tire smoke, there’s not a cloud in the sky and there are cool cars and smiling faces as far as the eye can see. Sound like a good time? Well then, welcome to Drift Jam the brain child of Devo Dunbar and Jover Papag. 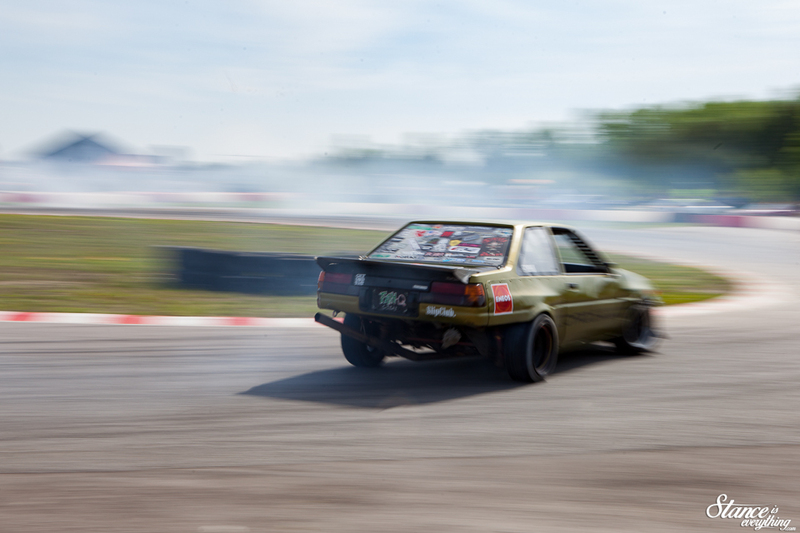 With drifting being arguably more popular than it as ever been, several local, here today gone tomorrow, outfits have tried to cash in. The problem is most of these ‘new’ events are just copies of longstanding events with little changed beyond the name. 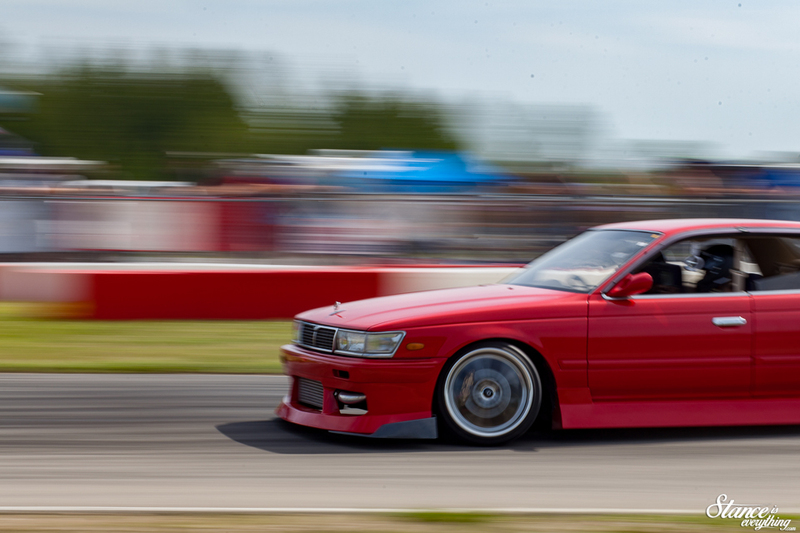 They are held at the same venues, have the same cars, and follow the same formula. 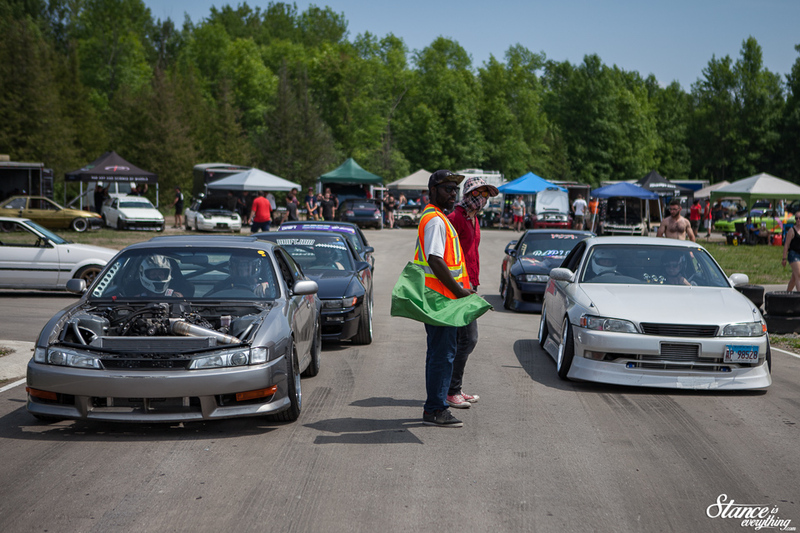 Devo and Jover, each well-respected members of the Ontario drift community sought to change that by focusing on high quality participant and spectator focused events. At the same time they don’t take themselves too seriously, and want to have a good time doing it. As a result the “Good Vibe” mindset they project carries from entry gate to put area. 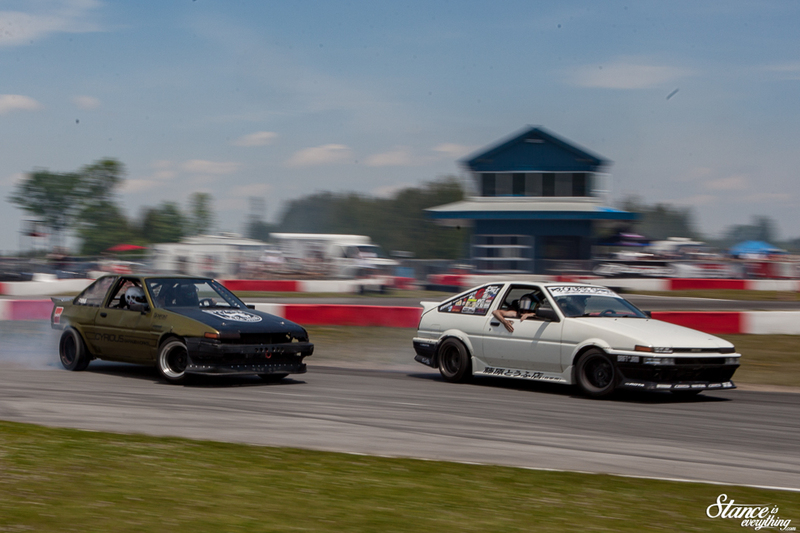 For their first event the pair managed to find one of the last venues in Ontario that has never held a drift event. 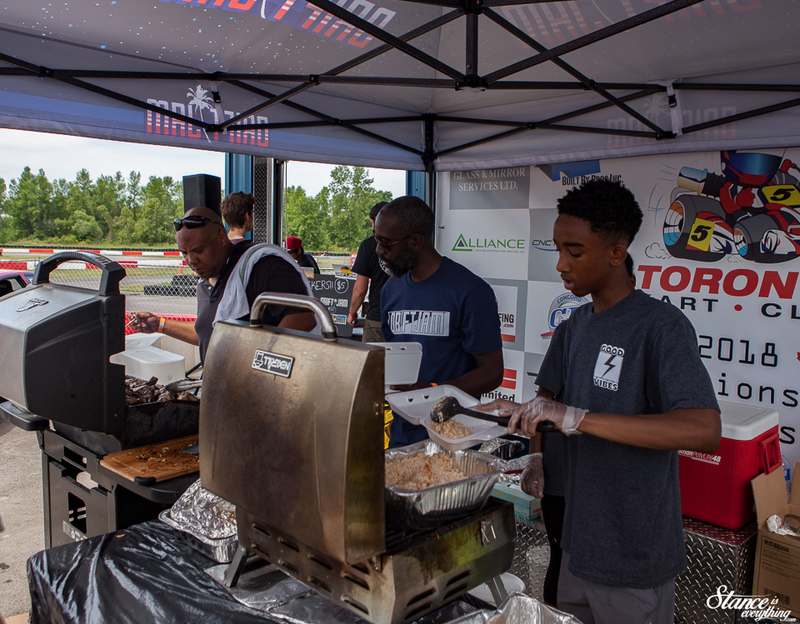 Gamebridge, which is traditionally a go-kart track, opened their doors to full size cars for the first time this past father’s day. 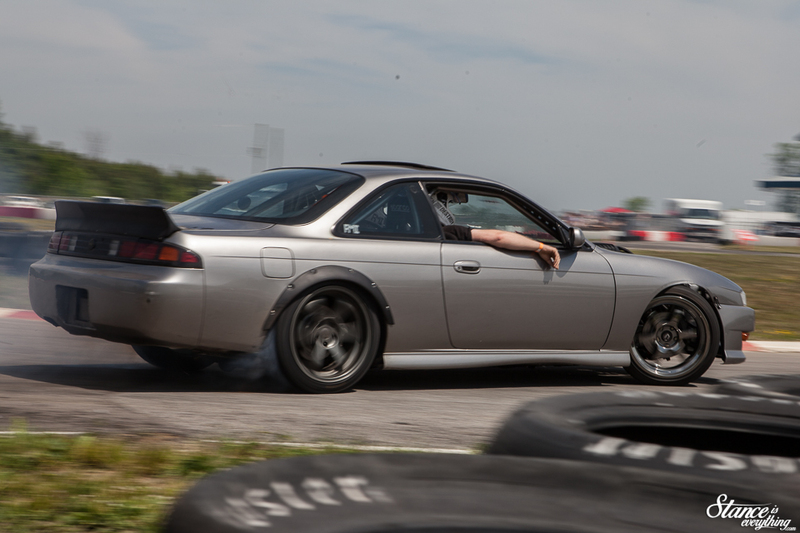 Since the venue was new to 95% of the drivers (Drift Jam did hold a small test day prior) nearly everyone was learning to drive the track. 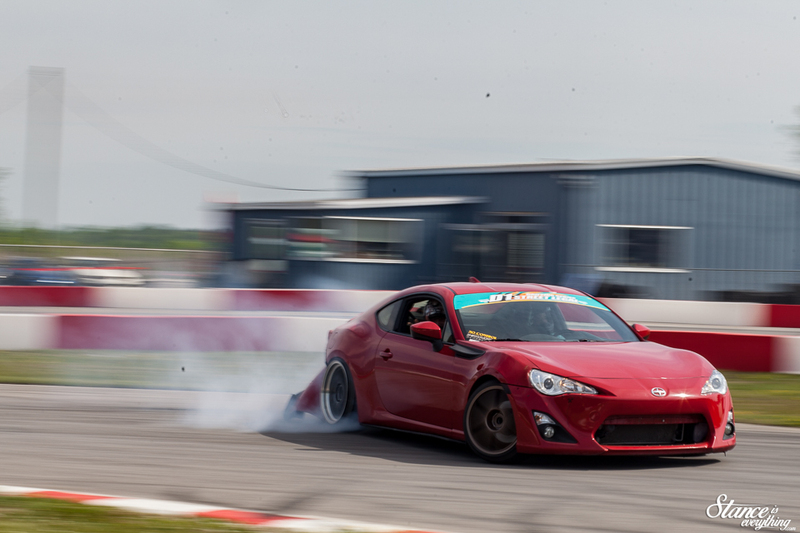 This was particularly exciting as a spectator because it was fun to see how different drivers approached learning a new venue. The format was roughly five and five, five drivers for five laps. 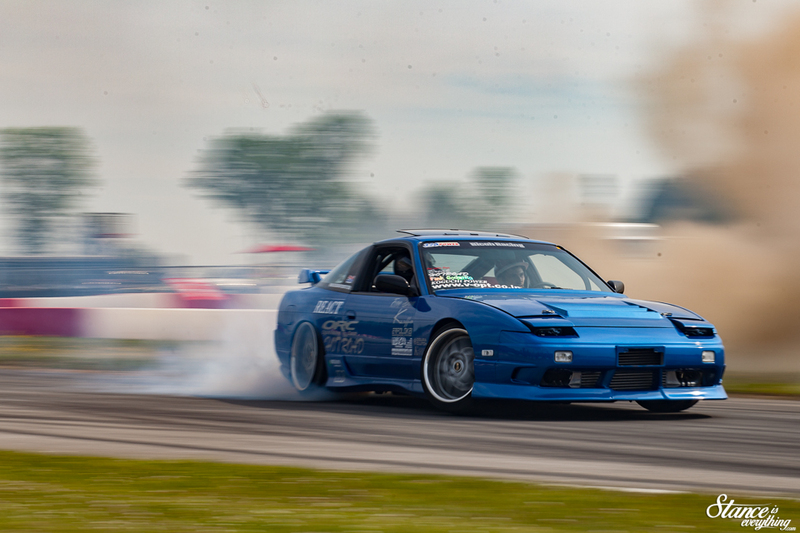 This rapid fire format was enjoyed by drivers, spectators, and media alike. It meant there was next to no down time on the track. Organized, magnificent chaos is perhaps an accurate description. 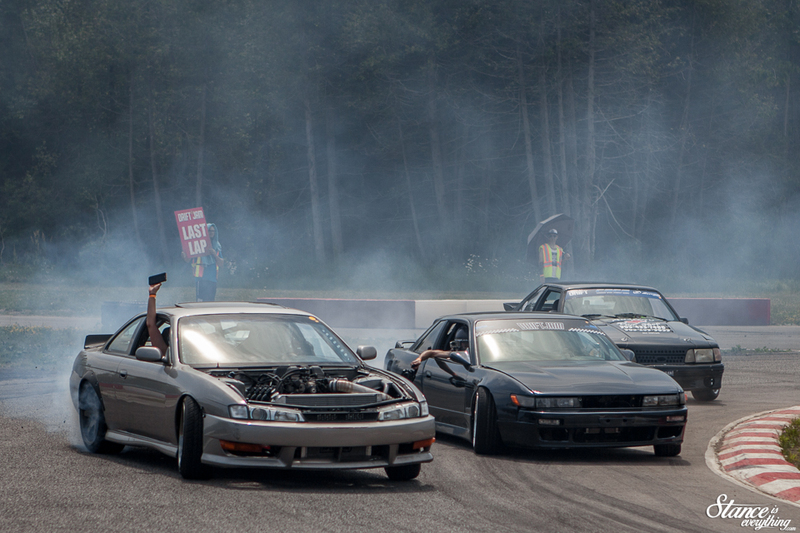 For an inaugural event the vehicle turnout was incredible and it seemed like each lap had a new car. 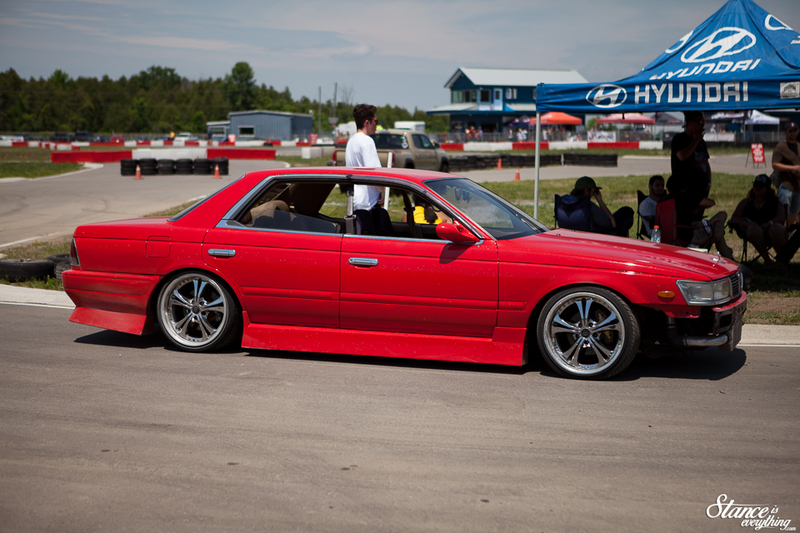 Most of the cars were also equal parts function and form. 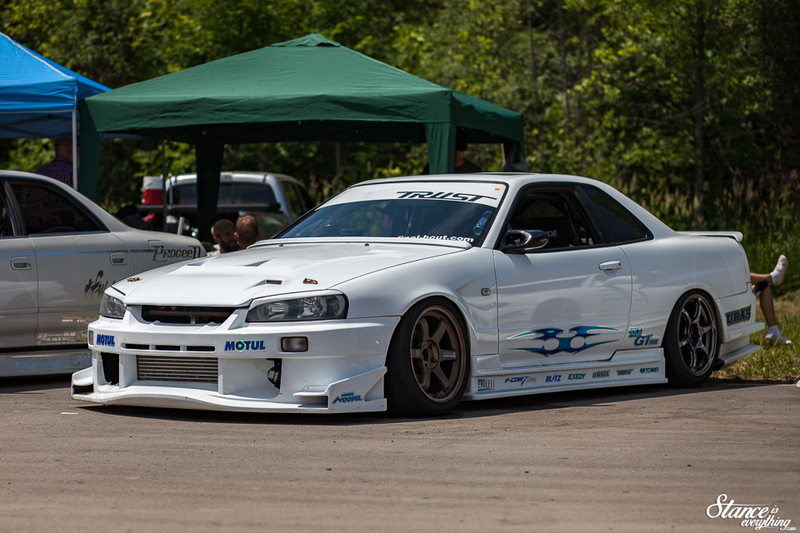 There was no show at this particular event, but several of these cars could have easily doubled as show vehicles. 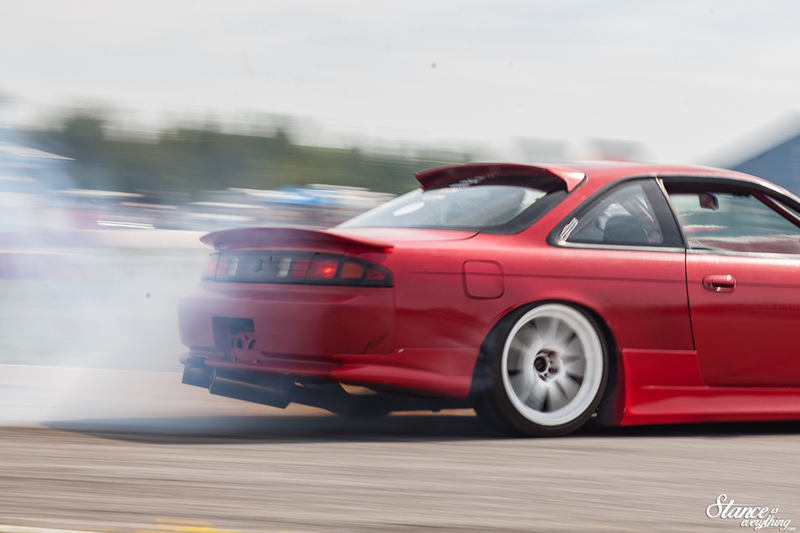 I love seeing cool cars sideways and in that department Drift Jam certainly didn’t disappoint. 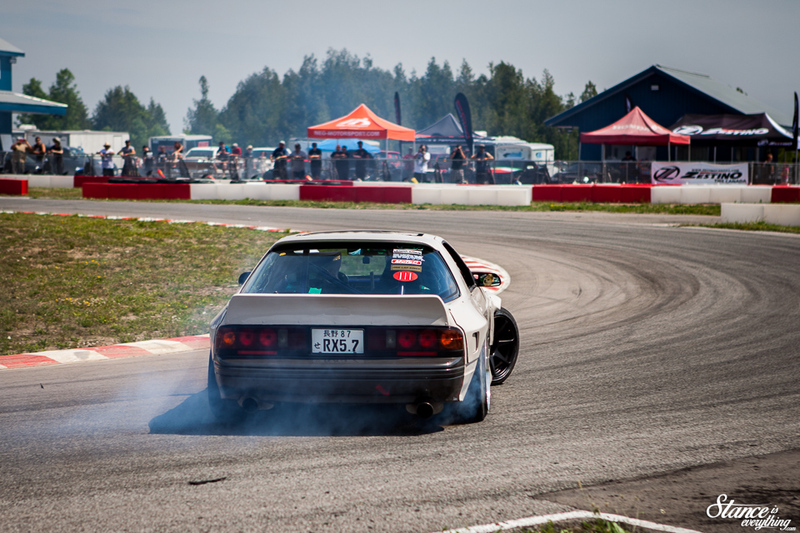 Again Devo and Jover, through a pre registration process, ensured there would be a good mix of cars and drivers. 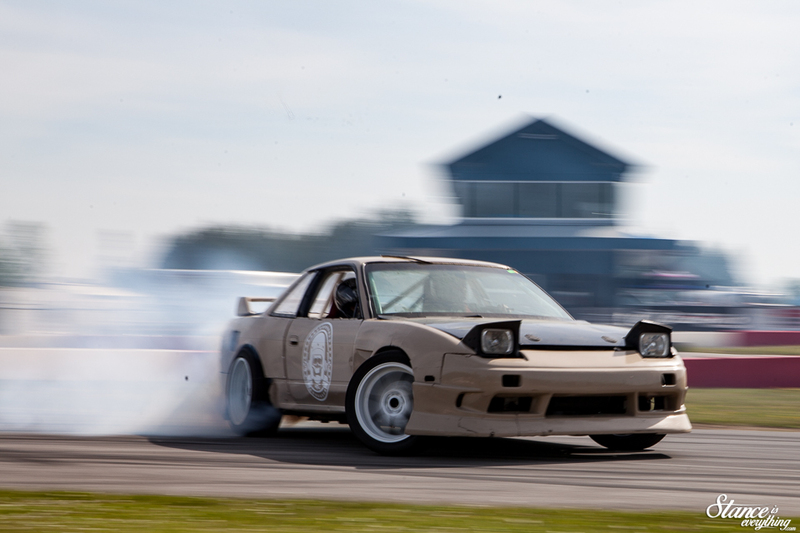 The overall elevated quality of builds at Drift Jam meant that it was a hard event to choose favorites. However there were certain cars I made a point of take a closer look at after watching them slide by. 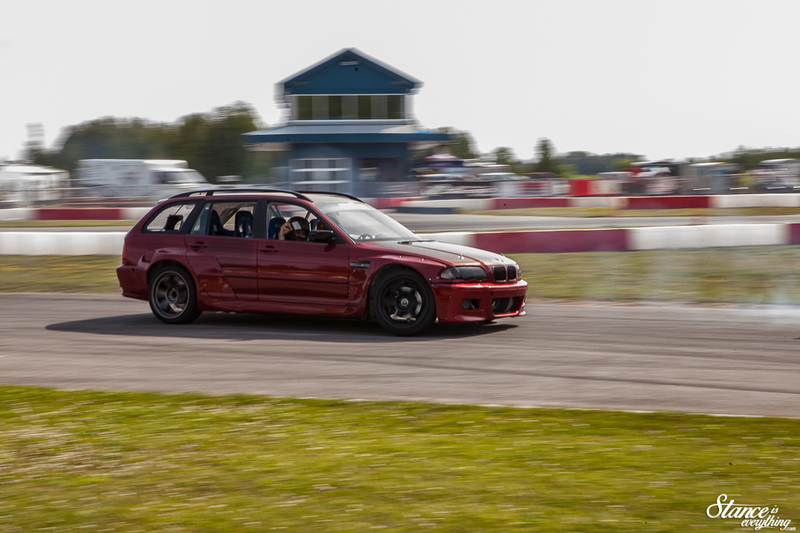 This red flared 3 series wagon was the amusement ride of the event. Fit with four racing seats there was a near constant line of spectators waiting to go out for a rip. 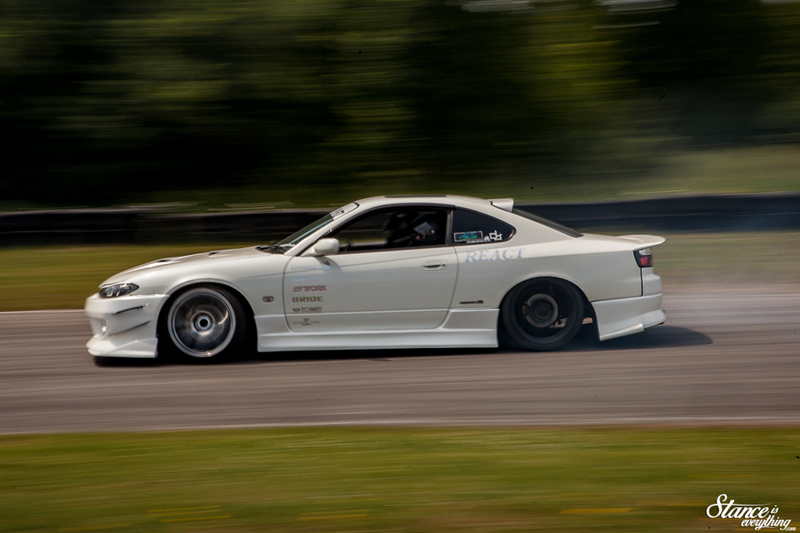 The car is the creation of Drew McLean, it’s got a 2JZ under the hood and a pile of fabrication work everywhere else. 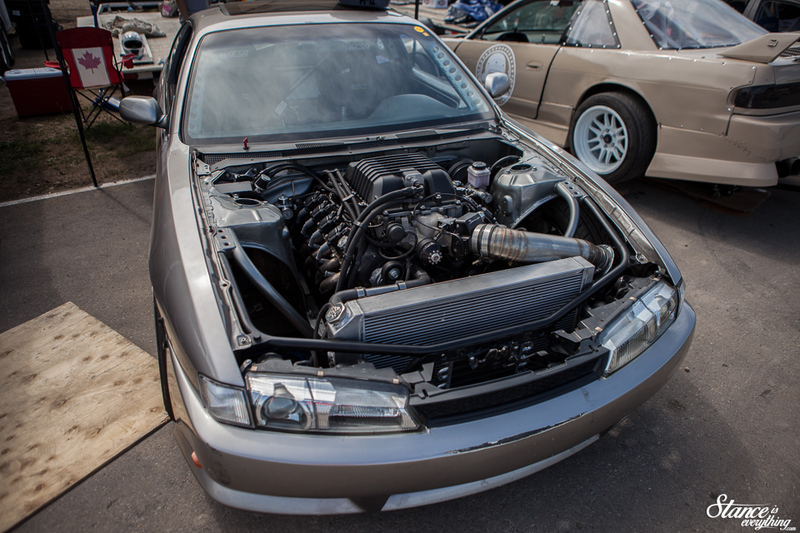 Another car I had to find from the second I heard it roar past was a hood-less S14. 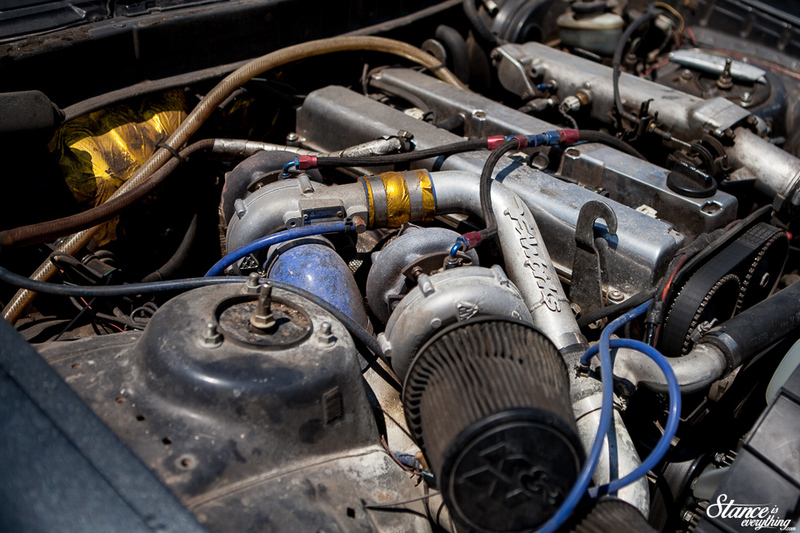 LS swaps are not uncommon in the s-chassis community but this is the first LSA swap I’ve seen performed locally. 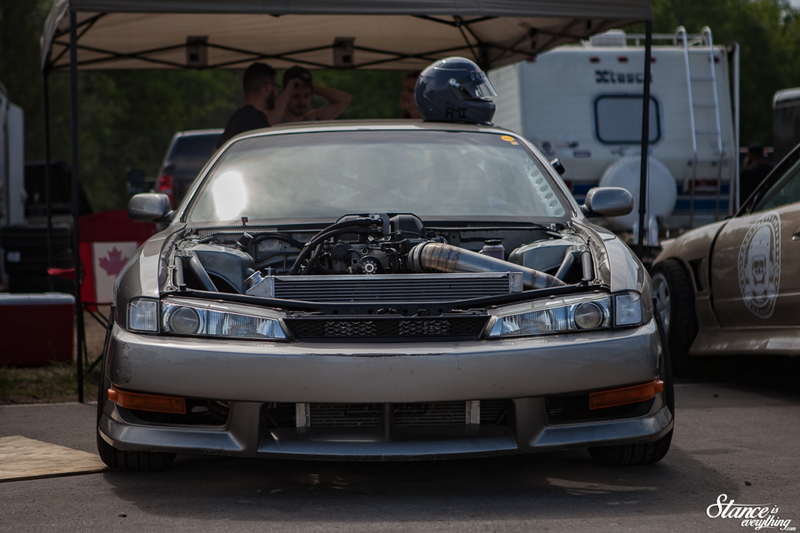 As a whole the car was very well done, and with all that power on tap the owner had no problem hanging with any group he was placed. Before we get back to action photos there are two more cars I’d like to give a bit of a closer look at. 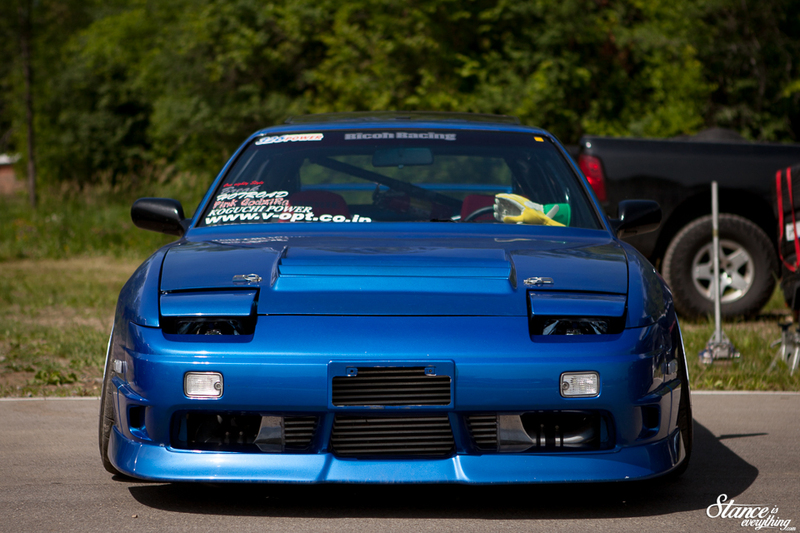 The first being the ‘Nocturnal Terror’ from Montreal. 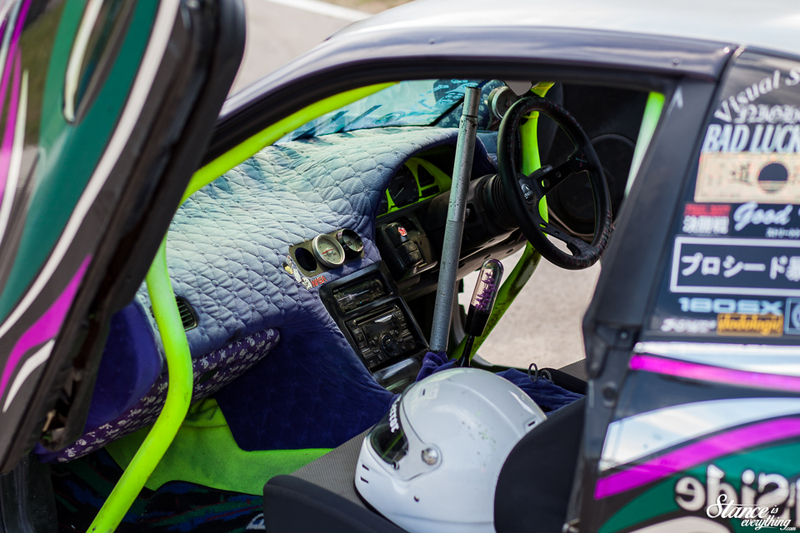 Take every crazy modification you can think of from Japan, dial some back a hair, and others all the way up, and you’ve got the Nocturnal Terror. A car that’s impossible to miss it attracted a lot of attention. People seemed to be particularly enamored with the interior so I had to take look for myself. Inside I was greeted by the extreme contrast color palette you see above. You’ve got to respect someone who’s willing to take an extreme aesthetic all the way through to the end. 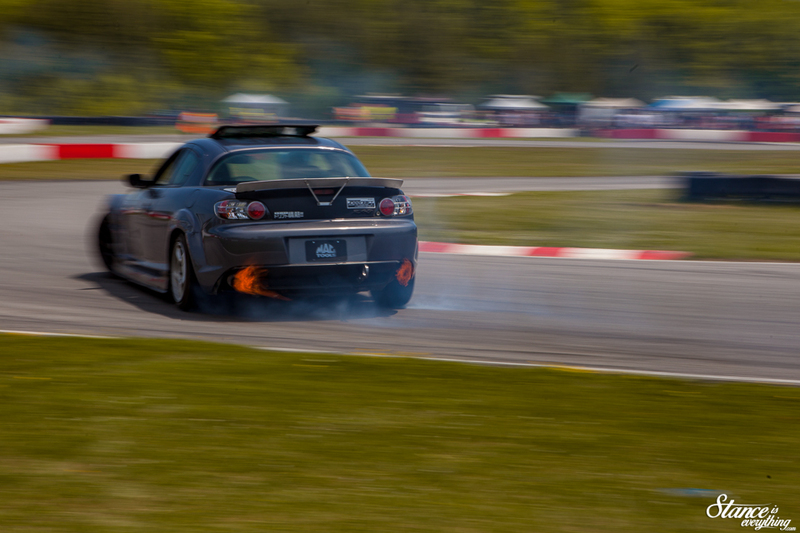 Of course, he didn’t bring the car to just have it lay about in the pits. 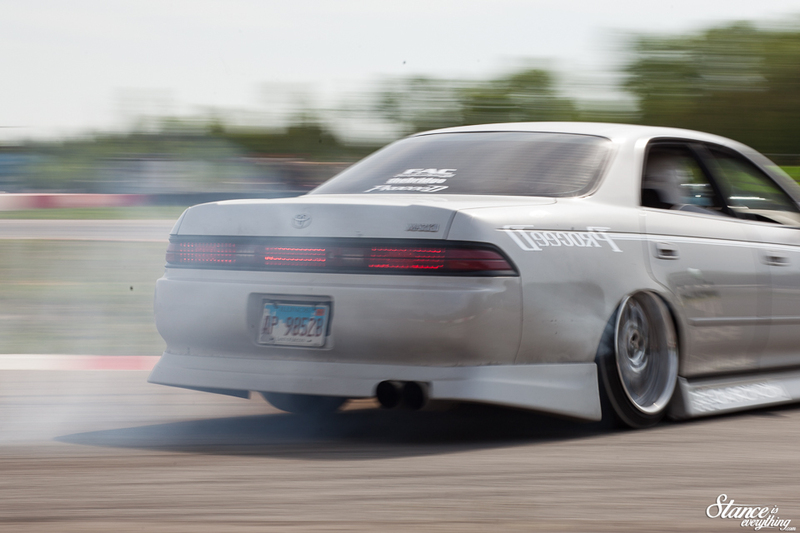 He was out there all day smoking rubber with everyone else. The car I kept returning to most came by way of Team Proceed, a crew of drivers out of Chicacgo. 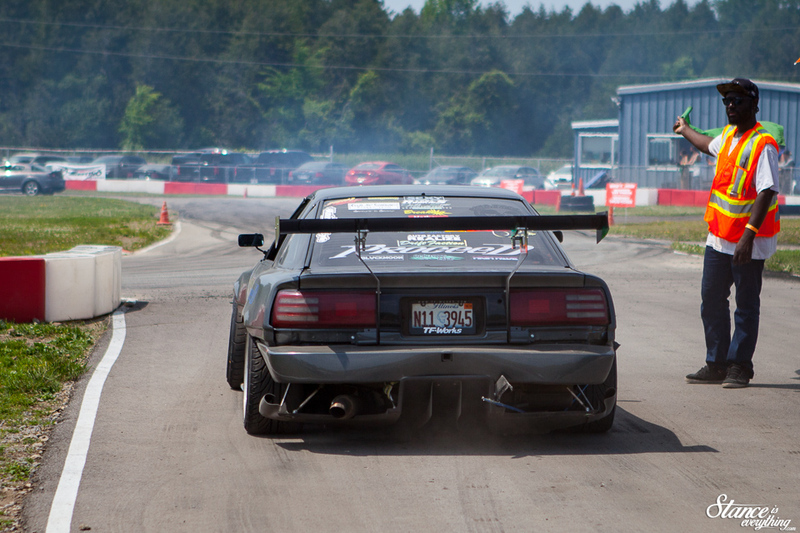 Proceed brought their A-Game with the owner of this Supra stepping things up a notch showing up towing a trailer. 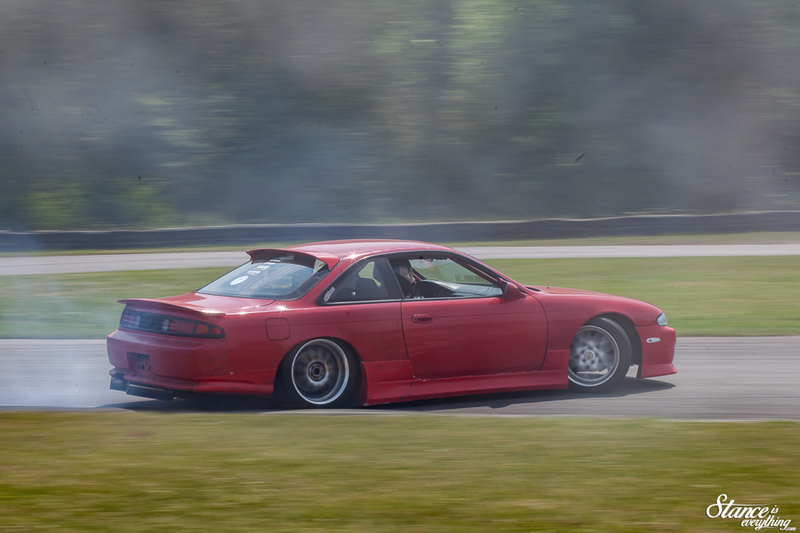 In the year’s I’ve been doing SIE I can count the number of MK3 Supras I’ve seen outside of a show venue on one hand. And none of them have ever looked quite like this. 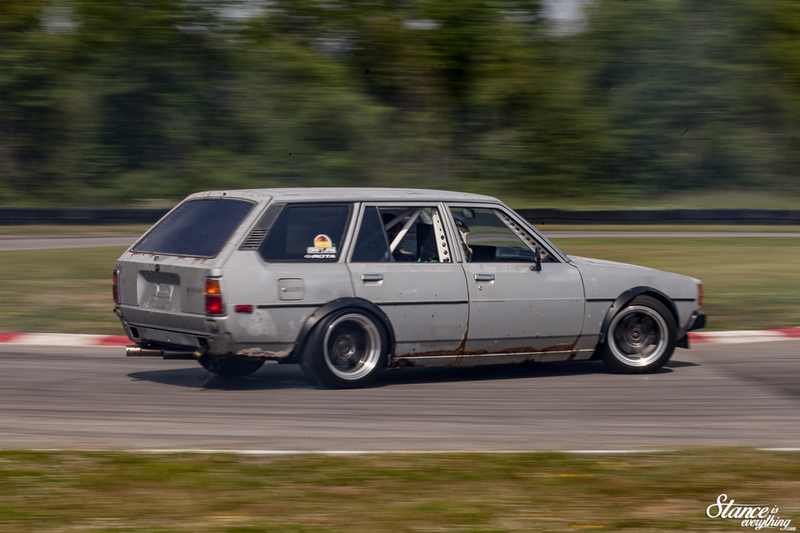 I hope Proceed comes out to the next round because while I got some photos of this car I don’t think I’ve done it proper justice, just yet. 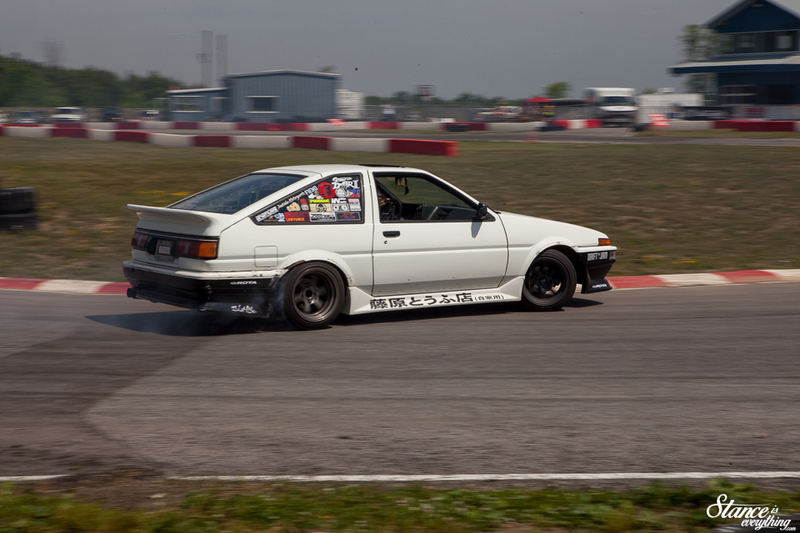 An Ontario OG in his own right Pat Cyr was slaying in his ae86. It was a lot of fun to watch Pat drive outside of a competition setting. 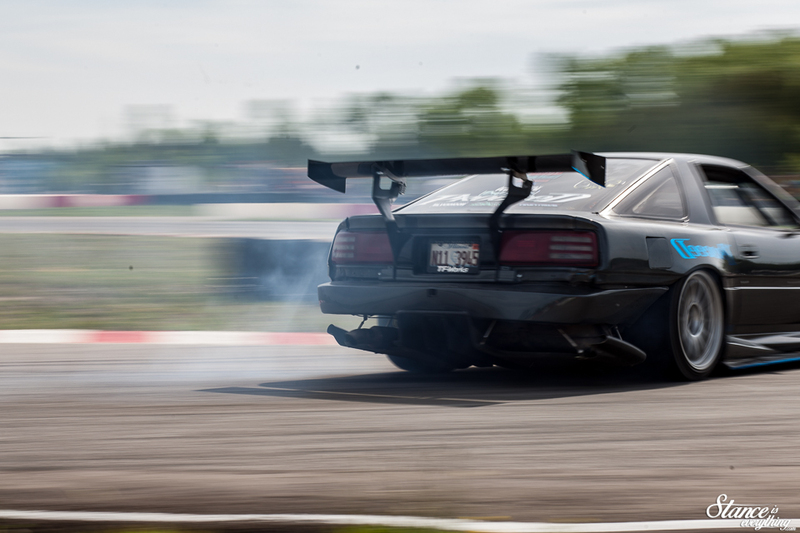 He’s the kind of driver that doesn’t really hold back and in no time he was trying to link the entire track. I’m not sure if he got it, but it was fun to see him try. 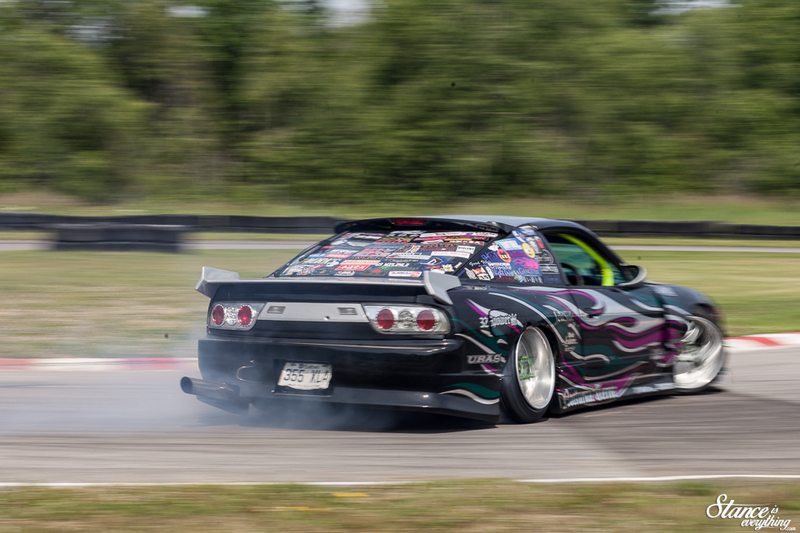 Though I wasn’t able to stay for the entire event, I think I speak for everyone when I say Thank You to Jover and Devo for the work they put in to make Drift Jam great. I don’t think there’s a single person who attended that won’t be back. A note to the driver’s if you are curious if I have a photo of your car please comment below. Chances are pretty good I have one even though it’s not posted here. Being such an open venue I couldn’t help but shoot darn near the entire time I was there, far, far too many photos for a single post.